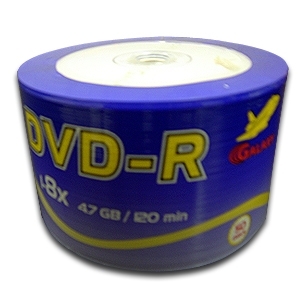 Save on the BK Media GLXY-8X-DVD-R DVD-R - 50 Pack, 8X, Spindle now at Tiger Direct. This 50 pack will only cost you $5.99 through 5/17/14. Make sure you use the coupon code listed on the page to get the discount. TigerDirect is running a huge holiday sale right now. THe best deal by far is the Centon 64 GB Flash Drive for only $28.99 after coupon. See the rest of the deals below. 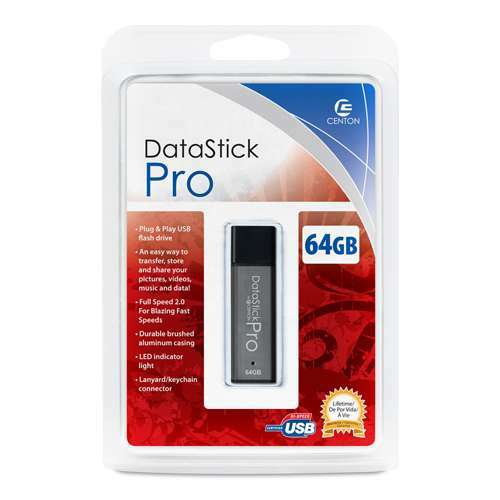 Centon DataStick Pro 64GB USB Flash Drive - $28.99! Lenovo ThinkPad W530 Mobile Workstation 15.6" Notebook, Intel Core i7-3720QM 2.6GHz Processor, 8GB DDR3, 500GB HDD, Windows 7 Pro 64-bit - $979.99! ASUS VivoTab 10.1" Touch Tablet, Intel Atom Z2760 1.8GHz, 2GB DDR2, 64GB Flash, Windows 8, Dual Webcam (Refurbished) - $269.99! Microsoft Surface Pro 10.1" Full HD 10-point Multi-Touch Tablet, 3rd gen Intel Core i5, Windows 8 Pro, 4GB RAM, 128GB Storage, Wi-Fi, Dual Webcams - $799.99! Dell Latitude D630 14.1" Notebook, Intel Core 2 Duo 1.8GHz, 2GB DDR2, 160GB HDD, CD-RW/DVD-ROM Combo, Windows 7 Professional 32-bit (Off-Lease) - $199.99! Seiki 39" Class LED 4K Ultra HDTV, 3840 x 2160, 120Hz, 5000:1 Dynamic, 3x HDMI - $479.99! Vivitar Action 5 Megapixel Waterproof Camera - $59.99! Asus M Series Desktop, AMD A8-6500 (3.50GHz) Processor, 8GB Memory, 1TB HDD, Windows 8 64-bit - $469.99! HP Pro 3500 Desktop, Intel Pentium G870 3.1GHz Processor, 4GB DDR3, 500GB HDD, Windows 7/8 Pro 64-bit - $399.99! Turbofrog AirVolt Jumbo R/C Helicopter, 3-Channel, Remote Control, AC Charger, 24" length - $49.99! Acer G226HQL BBD 22" Class 1920 x 1080 LED Widescreen Monitor - $109.99! LG 24" Class 1920 x 1080 Slim LED Monitor - $149.99! Eastwear 15.6" Laptop Backpack, Large Main Compartment, Padded Sleeves & 10 In. Tablet Pocket - $10.00! HP 455 G1 F2R65UT#ABA 15.6" Notebook, AMD A6 (2.70GHz) Processor, 8GB Memory, 750GB HDD, Windows 7/8 Pro 64-bit - $499.99! 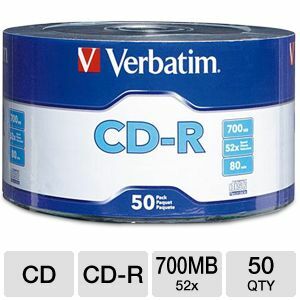 COLOR RESEARCH 50 Pack BD-R Blank Media, 6X Speed, 25GB - $39.99! Raygo Optical Scroll USB Mouse, 3-Button - $5.99! 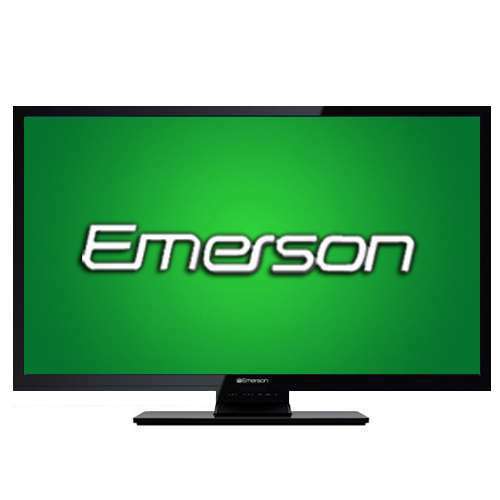 ViewSonic Digital 8" Photo Frame, 800 x 600, 4:3, 400:1 Native, LED Backlight, Light Sensor, SD Card Slot - $34.99! HP Pro 3500 Desktop, 3rd Gen. Intel Core i3-3240 3.4GHz Processor, 4GB DDR3, 1TB HDD, Windows 7 Pro 64-bit / Windows 8 Pro 64-bit - $499.99! HP 255 15.6" Notebook, AMD A4-5000 1.5GHz Processor, 4GB DDR3, 320GB HDD, Windows 8 64-bit - $349.99 with Free Shipping! WD My Passport 2TB Portable USB 3.0 Hard Drive, Backup Software & Encryption - $119.99! Night Owl 16 Channel STA Series 500GB HDD DVR Surveillance System, 16 420 TVL Cameras - $499.99! Asus Vivobook 15.6" Touch Notebook, Intel Core i3 Processor, 6GB Memory, 500GB HDD, Windows 8 64-Bit - $599.99! 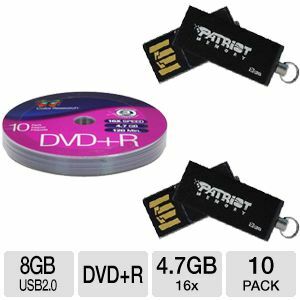 The TigerDirect deal of the day today (10/23/13) is for 2 8GB USB Flash Drives + a 10-pack of DVD+R media for $19.99. This will be free after the $20 mail in rebate. This one is over at the end of the day. Get it now before it's gone. 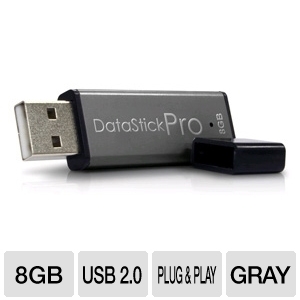 Order an 8GB USB Memory Stick for only $4.99. It's the TigerDirect Deal Slasher Deal of the Day.